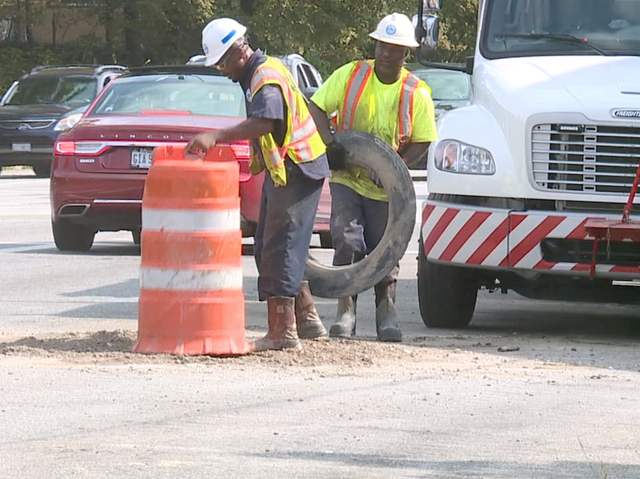 Some Cleveland Heights residents are raising concerns over what they call a growing number of water main breaks in their city. Daren Stahl, who has lived in Cleveland Heights for the past 15 years, told News 5 he’s seen an increase in water main breaks, ever since the Cleveland Division of Water took over water service in his city in Jan. 2017. Stahl has kept a log on Cleveland Heights main breaks since the beginning of the year, and has shot video of breaks on major roads, like Mayfield, Cedar, and South Taylor. Stahl, and other residents who have contacted News 5, are worried all the water main breaks could pose a safety issue, causing road and lane closures, water filled streets, and an interruption in water service.